The Marvelous Mrs. Maisel is a 60 minute scripted comedy television series, which kicked off on March 17, 2017, on Amazon Prime and is broadcast every Wednesday at . The show is currently in its 2nd season. 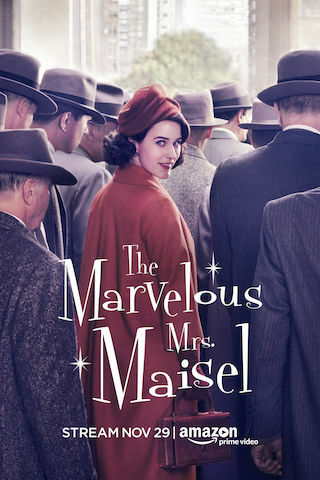 Amazon Prime is yet to announce the renewal of The Marvelous Mrs. Maisel for Season 3 as well as its cancelation. Sign up to track down the show's status and its release date. It's 1958 Manhattan and Miriam "Midge" Maisel has everything she's ever wanted - the perfect husband, kids, and Upper West Side apartment. But when her life suddenly takes a turn and Midge must start over, she discovers a previously unknown talent - one that will take her all the way from the comedy clubs of Greenwich Village to a spot on Johnny Carson's couch.